Have you ever wondered (and I had) what would happen if the First Lady of Birdland paid homage to the First Lady of Song? That question was answered with resounding applause on Monday night as the room’s resident diva, Natalie Douglas, chose the late, great Ella Fitzgerald as the latest subject in her “Tributes” series of concerts. The result, as might be expected, was an evening of musical bliss, made even more wondrous at how deftly Douglas tackled some very tricky arrangements (with the invaluable aid of the great pianist Billy Stritch, bassist Mimi Jones and drummer Shirazette Tinin). In some ways, it’s no surprise that Douglas (who has played Birdland consistently for the past 15 years) took so long to take on this particular show. As she pointed out in her opening patter: “Ella did everything incredibly well, and twice on Sundays.” But Douglas, one of cabaret’s most versatile vocalists, proved to be up to the daunting task, moving from ballads to uptempo numbers with surprising ease. Moreover, as she also pointed out, Ella recorded thousands of songs in her career and “had the most delicious taste,” a combination that gave Douglas the ability to choose from the crème da la crème of the American songbook. That meant we got the pleasure of listening to some of the finest tunes from Cole Porter, the Gershwins and Rodgers & Hart: Douglas gave swing and sass to “Too Darn Hot,” poignancy and passion to “Love for Sale,” sweetness and sultriness to “How Long Has This Being Going On,” and purity and pathos to both “But Not For Me” and “It Never Entered My Mind,” doing full justice to each of these gems of the past. Even better was how brilliantly Douglas handled the songs of Fitzgerald’s favorite composer, the amazing Duke Ellington. Even the Statue of Liberty’s torch dimmed in comparison to the one Douglas brought to “I Got It Bad (And That Ain’t Good), while she breathed full life into his intense, pop-flavored “Imagine My Frustration” (a song I fell in love with in the minute I heard it on Broadway over 35 years ago during the original production of “Sophisticated Ladies”). Having the Fitzgerald canon also allowed Douglas to show off her lighter, more playful side in such delightful “novelty” songs as “Cow Cow Boogie” and “I Found a New Baby,” the Beatles’ immortal “Can’t Buy Me Love,” and, especially, Ella’s signature tune “A-Tisket, A-Tasket” (one of the handful of numbers where she forgot a word or two). Intriguingly, perhaps the most joyous moment of the evening came when she and Stritch duetted on the charming ditty, “Can’t We Be Friends” (which Fitzgerald recorded with Louis Armstrong). Fittingly, Douglas closed the show with another Ellington tune – one she said was Fitzgerald’s favorite — the gorgeous “Something to Live For.” As for me, I’m living for the hope she’ll do this spectacular show again. 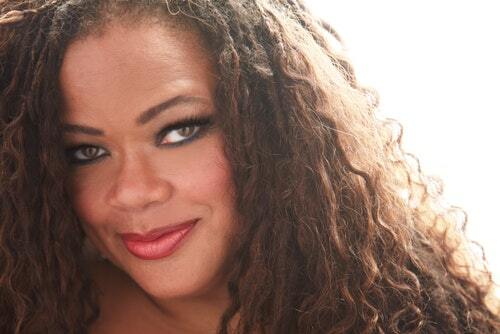 Natalie Douglas: Tributes-Ella Fitzgerald played Birdland (315 West 44thStreet) on Monday, May 14.